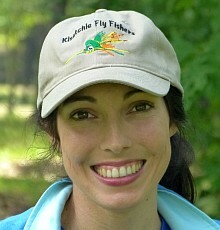 Now through Christmas is the best time of the year for fly fishing the marsh! Speckled trout have moved inside, and fish of all size are roaming the interior lakes. 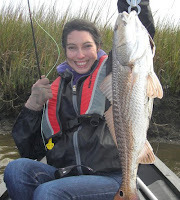 North winds will continue to drop water levels, exposing banks where redfish, drum and sheepshead roam. In preparation for our club trips to Pointe-aux-Chenes (Nov. 18) and Lake Prien (Dec. 2), our own Catch Cormier will give us a presentation on "Marsh Fly Fishing Basics" with emphasis on Fall and Winter fishing. Catch will cover tackle, flies, rigging, tactics, what to look for, and specific areas in the Pointe-aux-Chenes and Calcasieu areas. As always, our meetings are open to the public. Bring a friend! This month Dan Fromme will be leading us in tying the RS2, a trout pattern created by South Platte River enthusiast Rim Chung. Complete details about this fly - including materials and step-by-step instruction - can be found on Charlie Craven's Fly Box website (Click here). 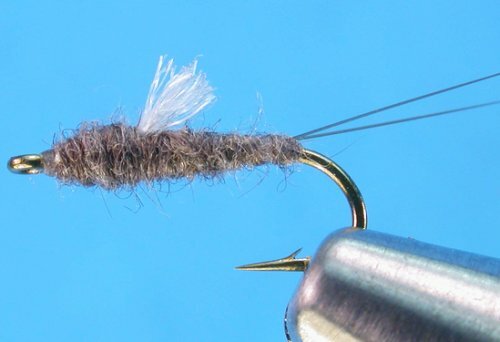 Bring your tying tools, if none, the club has sets to use during the session. Materials will be provided. Also... bring gray tying thread or similiar color, if you have some. As always, beginners are welcome! 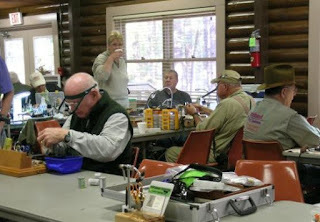 The Kisatchie Fly Fishers mission is to promote fly fishing and conservation in Central Louisiana. We meet twice monthly, except for December.